If you care about you selling products online, then you need to care about your Trust Pilot score. 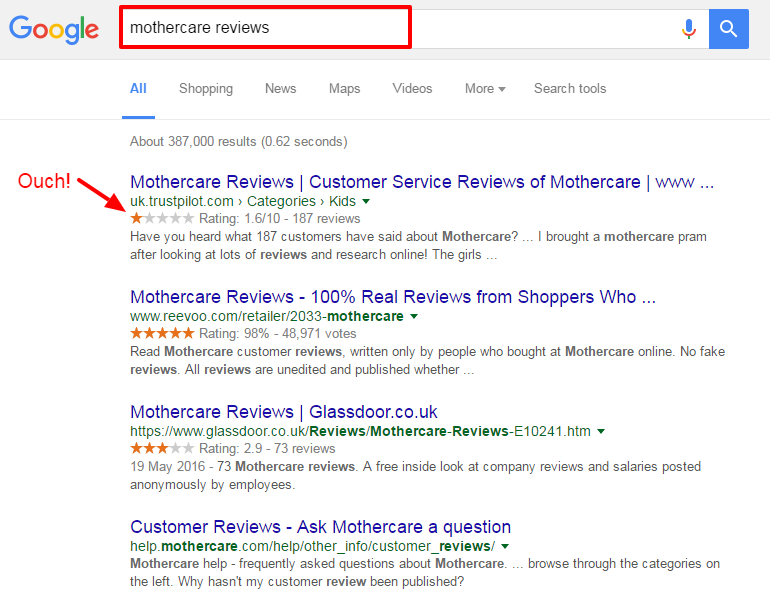 Trust Pilot appears near the top for pretty much any “[business name] review” search. Brand searches sit in the “purchase consideration” stage of the buying process. They are close to buying from you, and they are specifically researching your business to reassure themselves before they commit (read more about perceived risk and preventing buyer’s remorse). Whether you like it or not, this score is influencing people’s decision to buy from you. Good customer service and strong products are always the best way to get a high score on any review website, but I personally wouldn’t rely on that alone. You can’t con people in to thinking you are great when you are not, but you don’t have to sit and wait for positive reviews to come in either. Follow this simple two-step process to dramatically increase your positive scores. I’ve used it many times and it works. That moment immediately after someone has bought from you is a golden opportunity to get a positive review. The majority will be happy with their purchase, and a portion will be ready to share that. Thank you for purchasing [product] from us. We are writing to ask if you would review us on review website TrustPilot? It only takes a couple of minutes to do, and you can review any aspect of our service you wish. 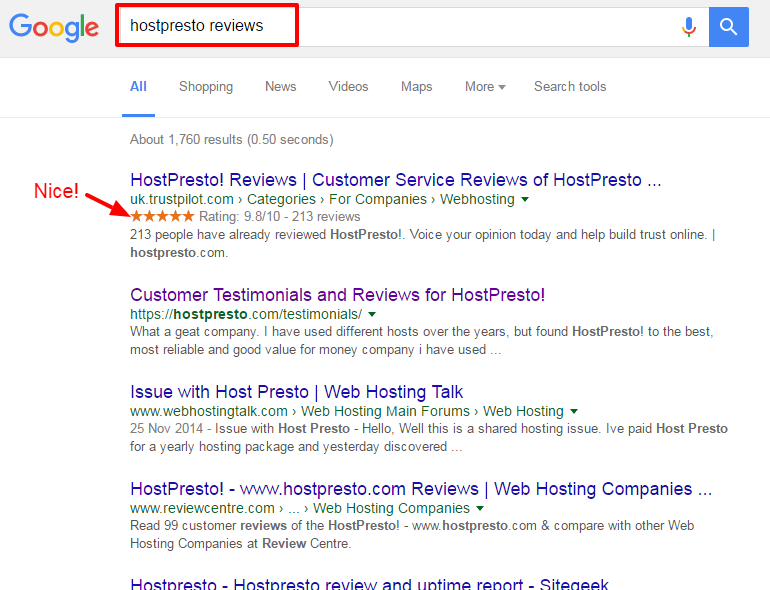 We aren’t looking for biased reviews, just honest ones from our customers. If you give your customers the ability to rate a customer service interaction or you use trackable NPS (i.e. you know who gave you a 10 or 9), you have a pot of super-happy customers to contact. After a positive rating/feedback score, send an email asking them to review you on Trust Pilot. 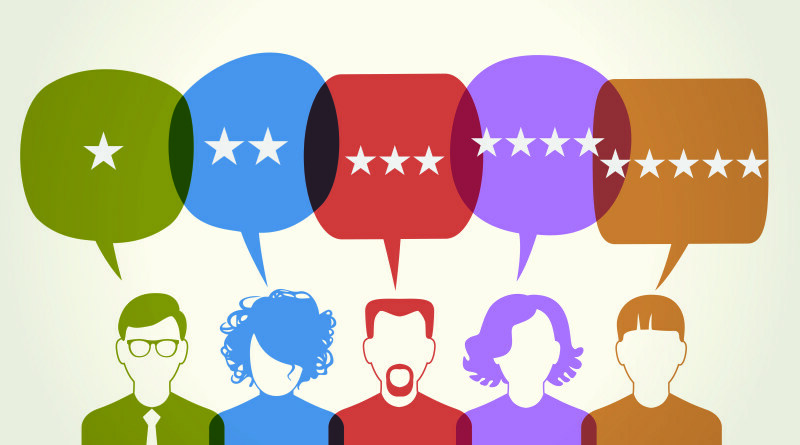 This isn’t rocket science, and I’m not claiming to have reinvented the wheel, but so few businesses take a proactive approach to getting those 5 star reviews. I can only recall a couple of occasions when I’ve personally received an email like this after buying online. If you apply those two ideas to your customer comms I’m confident you will see an increase in 5 star reviews on Trust Pilot.